Note: We offer over 200 add-on resources for Mantis Bible Study. These resources can be purchased from our web site https://MantisBible.com. In addition, most of these resources can be purchased via "In App Purchase" from the Apple App Store. 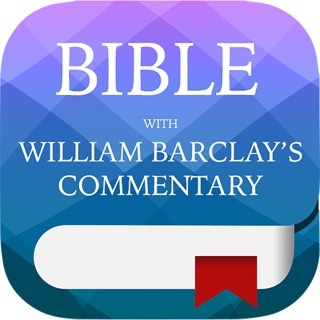 I have used this Bible app for years. It is fabulous. I can type my own notes within the text, highlight in different colors, bookmark, study, memorize, and quickly look at scripture references as I read. It truly has everything I could want in a Bible and I can take it with me wherever I go. I too own an I-phone and it crashed after installing an update. I thought everything I had was gone forever. 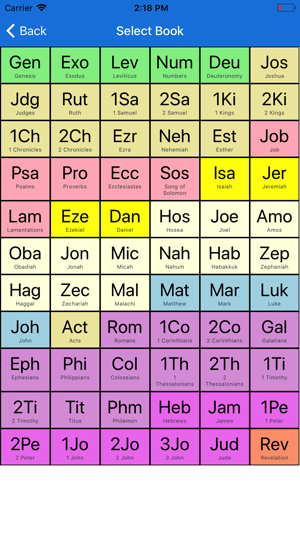 I finally had to uninstall and reinstall, and was sad that my NIV version was gone along with everything else. I contacted the company as a last ditch effort and they responded almost instantly. They explained how to get back in to an account I didn't know I even created and they helped me get my Bible back with all of my notes! I was so relieved! 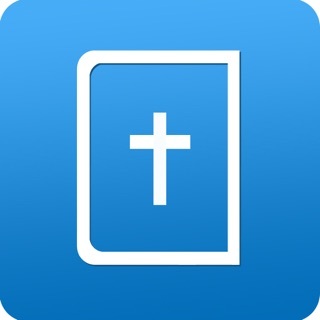 Be sure to create an account and backup your Bible often, and you will love this app! A long time user of Mantis Bible Study, I had upgraded to iOS 11 only to discover that Mantis 4 no longer worked. So I was glad to see that Mantis X has finally been released, as I use the app daily and have invested lots of time in it. However this 10.1.5 release feels still a bit green. Scrolling is missing, as well as numerous other features of the previous app. Bookmarks (now markers) behave very differently - I’d like the option to see only those markers in a selected folder as before, not all markers all the time, although the ability to see all markers in all folders is a good new feature. The conversion of old bookmarks creates markers with strange titles instead of the complete reference. In short, glad to see the app is now available, a bit frustrated with the ‘conversion experience’ (sic), and hoping to see point releases in the very near future to fix bugs and add missing features! The Bible intergration software is great. Everything is at your finger tips and you have the all collections. 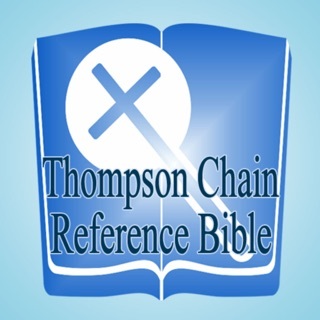 You can create your own study bible with tools your desire. The thing its very limited and updates are not very often. The books/bible are also limited. You only get four colors to choose from to high light and they only show up on book you have open at the time. Which means, if you have one KJV open and high light it, the highlight will not show up if you have NLT open. 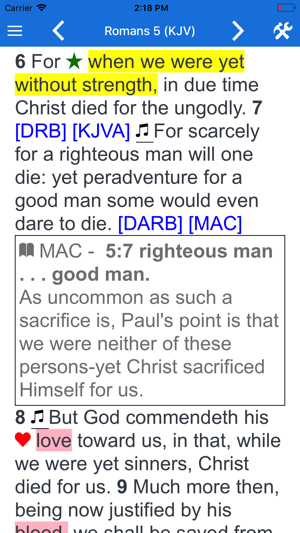 It would nice to be able to have an option to underline, in a manner you would with my own bible. I have a love hate relationship with this application. The highlighting can be cumbersome and crashes, if it did not like something. Their cusotmer service is great and they respond within reason. © Mantis Bible Company, all rights reserved.